Curious about what makes staying at Veligandu Island Resort & Spa so special? Read the most recent reviews of happy guests on their experience in the Maldives – a true testimonial of our signature hospitality. Landing on the island to us is like slipping on an old pair of slippers !! 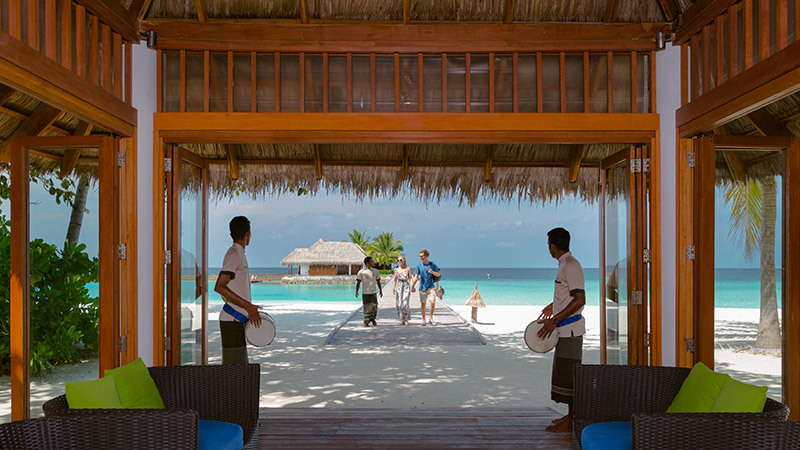 with it seems like every member of staff greeting us and welcoming us back, the island is absolutely beautiful and kept immaculately, the water villas are just perfect with your own space right down to a lovely jacuzzi under the stars. Obviously over the years the head chefs have changed with slightly different food layouts but this year the food that is always good was absolutely outstanding !!! the teams of chefs from the soups to the beautiful desserts are really top notch with the hardest decision being what dishes to chose out of the multiples that I would readily eat ! !